Keith Haring faria hoje 44 anos. Não fez porque uma morte prematura e cruel, anátema de uma opção pessoal, levou um dos talentos mais marcantes da arte contemporânea. Viveu uns breves 31 anos. Artista que fez das galerias do metro de NY a sua tela efémera, afecto dos habitantes da ciadade, amigo de Basquiat, visionário da arte, devotado à arte pública na sua acepção mais genuína, ícone da sua época e das suas opções. 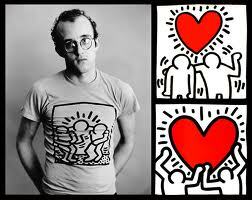 Keith Haring, um artista no estado puro. 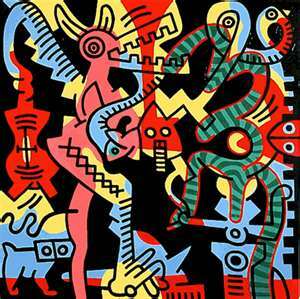 “Keith Haring was born on May 4, 1958 in Reading, Pennsylvania, and was raised in nearby Kutztown, Pennsylvania. He developed a love for drawing at a very early age, learning basic cartooning skills from his father and from the popular culture around him, such as Dr. Seuss and Walt Disney. Throughout his career, Haring devoted much of his time to public works, which often carried social messages. He produced more than 50 public artworks between 1982 and 1989, in dozens of cities around the world, many of which were created for charities, hospitals, children’s day care centers and orphanages. The now famous Crack is Wack mural of 1986 has become a landmark along New York’s FDR Drive. 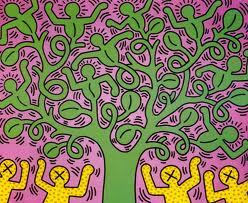 Other projects include; a mural created for the 100th anniversary of the Statue of Liberty in 1986, on which Haring worked with 900 children; a mural on the exterior of Necker Children’s Hospital in Paris, France in 1987; and a mural painted on the western side of the Berlin Wall three years before its fall. 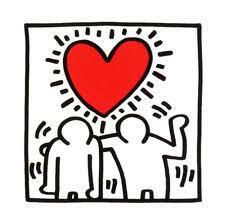 Haring also held drawing workshops for children in schools and museums in New York, Amsterdam, London, Tokyo and Bordeaux, and produced imagery for many literacy programs and other public service campaigns. Esta entrada foi publicada em Apontamentos com as etiquetas blog, caixa negra, in memoriam, jmphoto, joão martins pereira, keith haring, new york, pop art. ligação permanente.